My hot water heater is leaking. Isn’t there a better system in this tech-age? A typical Florida home is a “split bedroom” arrangement – two bedrooms on one side of the house and a third (usually the “Master Bedroom” on the opposite side. The bathrooms, laundry room and kitchen may not be adjacent to your water heater and you have to let the water run for several minutes before you get hot water. The typical hot water heater is using electricity 24/7 – mostly to maintain the temperature that is set by the manufacturer and is seldom changed to meet your needs. The Tankless Water Heater is a replacement appliance and after using it a few times you will wonder why you didn’t make the change a long time ago. 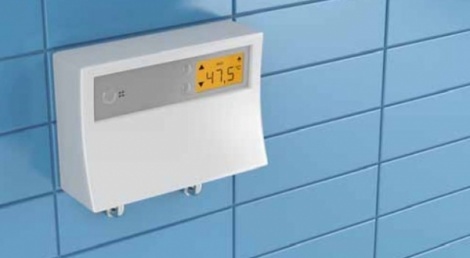 The costs of the tankless heater have become competitive to a tank type heater and the heater will cost from $169 to $679 depending on the size (capacity). The cost for installation can be a fixed cost by an experienced plumber or a rate of $60/hour for two hours. Tankless water heaters heat water directly without the use of a storage tank. Typically, tankless water heaters provide hot water at a rate of 2 to 5 gallons per minute. By heating only the water you’re actually using, tankless units can reduce the cost of energy and you will save over time. Upgrading your water heater system to a tankless, or on-demand system, can offer numerous advantages and benefits. They are approximately 30 percent more energy efficient than conventional water heaters, and they can last for 20 years or more, and they feature a compact, space-saving, wall-mounted design. You will gain much-needed storage space. The initial cost of this installed water heater is more than that of a tank type hot water heater. But lower operating and energy costs will offset the higher purchase price. Energy Star estimates that a typical family can save $100 or more per year with a qualified tankless water heater. You may also qualify for incentives offered by F.P.&L. or benefit from state tax credits. Installation and maintenance of your tankless water heater will optimize its energy efficiency.